March was a busy month with extra activities. It marked our quarterly birthday party; for the children who had birthdays during the months of January, February and March. 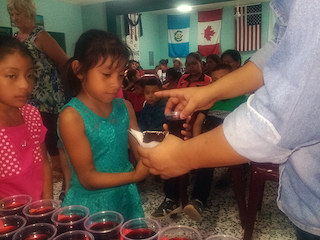 50 children were recognized, sung to, prayed over, given a gift and a coupon (for those with an active sponsor) to use at the clinic store. 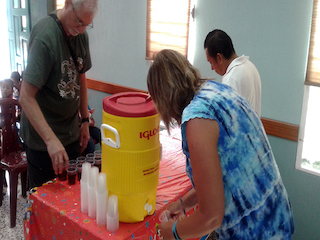 Everyone got to share in a small treat of cake and a drink. This is the most recognition that almost all of these children ever receive for having their birthday. It is nice to be able to plant a little bit of joy into their lives as we recognize their birthdays. 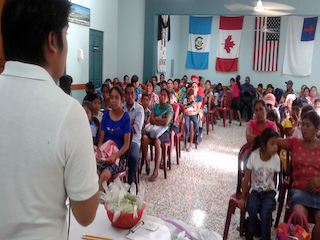 Abner shared a devotion about “Getting Closer to God”. He also had a teaching and visual demonstration on how to disinfect vegetables and fruits. Every family received a plastic tub so that they can properly disinfect their vegetables and fruit and they also receive the bleach that is necessary to do so. We had a registration in March and signed up a few more children. I will be doing my southern fundraising trip in the US the beginning of April and one of the things that I focus on is finding more new Embrace sponsors. Agree with me in prayer that I will be able to find sponsors for the 15-20 children that we currently have; that are in need of a sponsor. Doug and Sandi Reid just left from having spent a month and a half here for an extended stay. 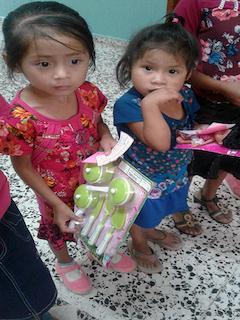 It was the first time that they were able to attend a normal monthly Embrace meeting and to participate with a registration and see how we celebrate the children’s birthdays. They will be sending their own message to our sponsors to share from their perspective some of the aspects of Embrace that they experienced. I know that whatever they experience here first hand; helps them to better communicate back with our sponsors in regards to the Embrace program and all the benefits that it brings to the children. We took three children to see an eye specialist this month; in hopes that we could help with their vision problems. The surgery for two would be very costly and without a lot of hope that they would regain their sight. 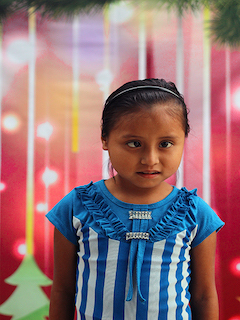 There is a little girl that is cross-eyed that we will try to get glasses for. There is hope that this will correct her vision problem. We do all that we can to help our Embrace children; and it is due our sponsors that we can impact children in this way. Thanks sponsors!